For business executives who want answers, not just more data. Smarter decisions, faster. Powered by Artificial Intelligence. The business analytics tool that thinks, not just does. See what your CRM has been trying to tell you! Make better decisions faster with realtime sales performance dashboards on your mobile or computer. Make your marketing data a competitive advantage. See. Analyze. Understand. Act. See all your sale, marketing, financial and operational data in aggregate. Ask it questions. Understand relationships. Share insights. Safe and secure: You are assured of the best-in-class security ensuring your data is safe at all times. Smart. Easy. Useful. What’s not to like? When you have the right tools, you will get all the insights you need out of your data. Einsights empowers you to stay on top of all your numbers, whether they're yours or your client's, 24x7, wherever you are. Before Einsights, I often had to spend hours manipulating spreadsheets to extract the necessary information to make strategic decisions. Now, information retrieval is almost instantaneous thus allowing strategic decisions to be made faster and with greater confidence. This is the century where products and services find you instead of you searching for them. Our technology makes this happen by gathering and analyzing a massive amount of consumer behaviour. We chose to partner with Einsights because their technology platform makes our deep analytics look so simple to our customers. Einsights has transformed my reporting and analysis of sales and accounting data from Infusionsoft and Xero. It has also saved significant time producing management reports and almost eliminated manual errors. 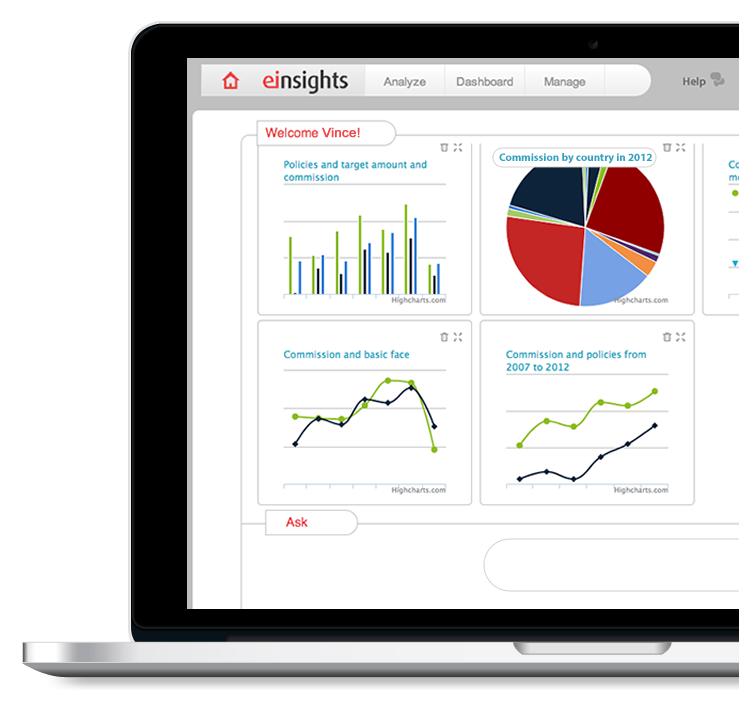 The Einsights team have been very responsive and helpful and I highly recommend the system for business and client reporting.